Cristiano Ronaldo – The former Real Madrid star is reportedly earning more than three times the amount of the second highest-paid player, Gonzalo Higuain. 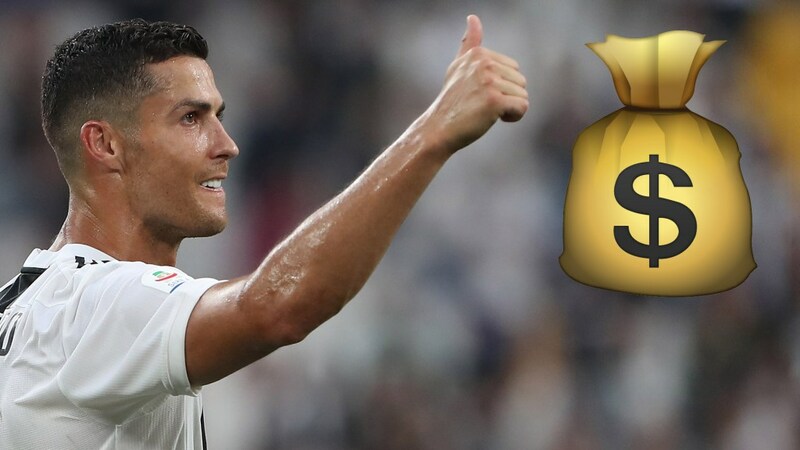 Cristiano Ronaldo is the highest-paid player in Serie A and earns three times more than anyone else in Italy’s top-flight, according to a report published by Tuttosport. The Portuguese star has been the big talking point in Italy since his €100m (£88m/$117m) move to the Bianconeri in the summer. Juve have a perfect record after their first three games of the season, but Ronaldo is yet to score a goal for his new team and has attracted criticism for his failure to find the net thus far. Despite his failure to score, it comes as no surprise that Ronaldo is top of the rankings when it comes to earnings, but the wage gap between the Juventus star and the rest of the league is quite astonishing. 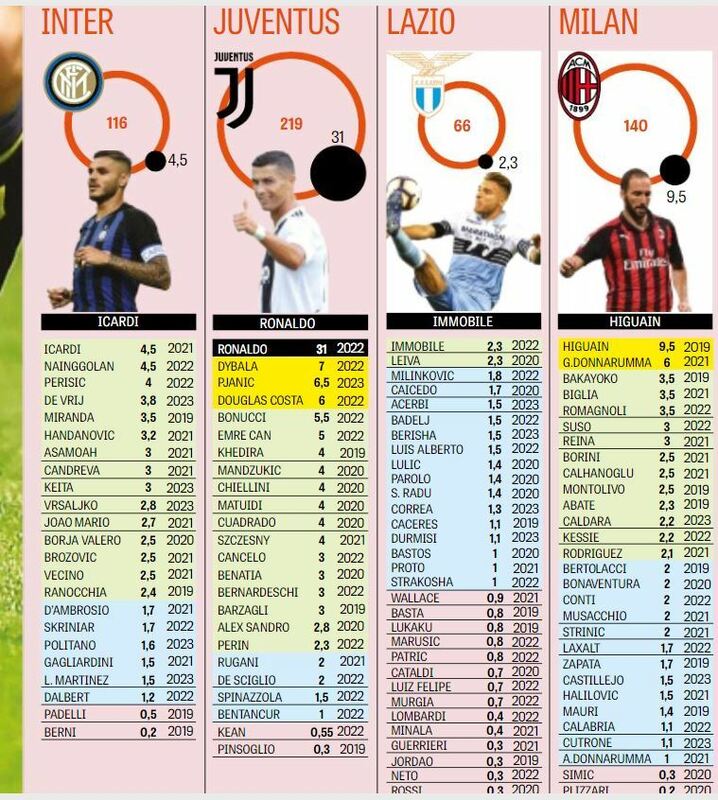 Italian newspaper Tuttosport have revealed the wages of all Serie A players, with the 33-year-old taking home far more than any of his team-mates or rivals. Ronaldo is earning an incredible €31 million (£28m/$36m) per season in Turin and is on a four-year deal with the reigning Serie A champions. Not only is the five-time Ballon d’Or and Champions League winner by far the biggest earner in the league, but he earns more than three times as much as anyone else. Gonzalo Higuain, who joined AC Milan from Juve after Ronaldo arrived in Turin, is the next best paid, raking in €9.5 million (£9m/$11m) per season. After Higuain, it is fellow Argentine attacker and Juventus star Paulo Dybala on €7m (£6m/$8m), with Miralem Pjanic not far behind on €6.5m. Unsurprisingly, Juventus’ wage budget is far greater than any other teams in the division. Massimiliano Allegri’s men are currently spending €219m (£197m/$253m) per season on player salaries alone, while AC Milan are next as they hand out €140m (£126m/$162m) per year. Roma are third, with their spending reaching €116m and €100m (£90m/$116m) respectively. Empoli are the lowest spending team in the league with expenses of just €16m a season.